Santa brought me this lens for Christmas. I decided to test it out at a large antique shop. matte, shiny, smooth, textured, reflective, etc. than I remember from my last visit. Anyway, it was great fun and time slipped away as I was caught up in the moment. That's the beauty of photography, isn't it? 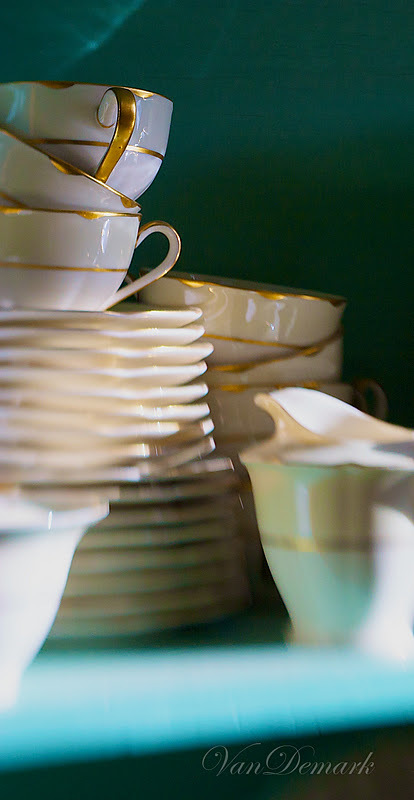 Love the presentation and light in the images of the cups and saucers. Congratulations on the new lens! These photos are beautiful, such lovely light & composition. You must be very pleased with your new lens, what is it? Beautiful shots. I love the cups with the gold detail against the turquise background. Lovely colours! Love the cups and saucers. I like the soft edges the lens baby gives to your images. 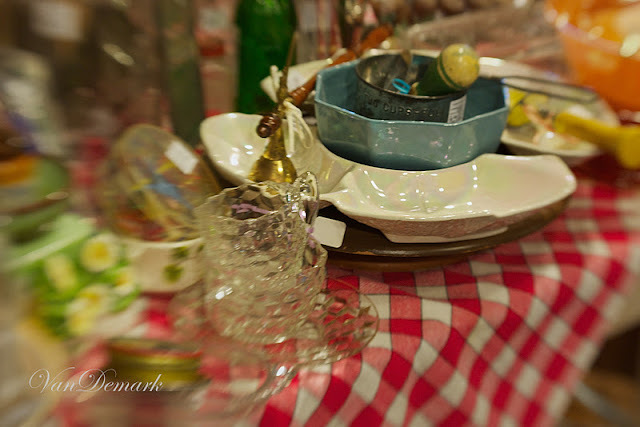 Anna, you are rockin' that Lensbaby!!! Each of these is wonderful, and I am glad you are enjoying using the lens. It truly has so many possibilities. Thank you for introducing the Lensbaby. Great captures and my favorite is the sewing machine. Jealous about the lens! I love shooting in antique stores...some of the best stories! wow, love that lens. so jealous. you are doing an awesome job with it! i've heard there is a bit of a learning curve. Santa knows photography! Terrific captures. 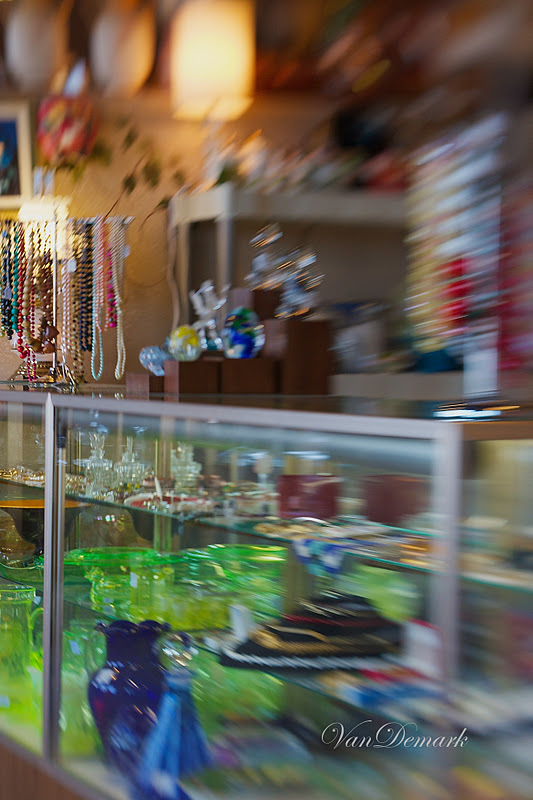 I might add a Lensbaby to my bag! Your gift was a gift to us as well...now we get to see more beauty from your photos! What lovely photos - the first one is especially gorgeous! I love the lighting, the soft focus, and the colors. Enjoy your new lens! What a fun shop to practice in. 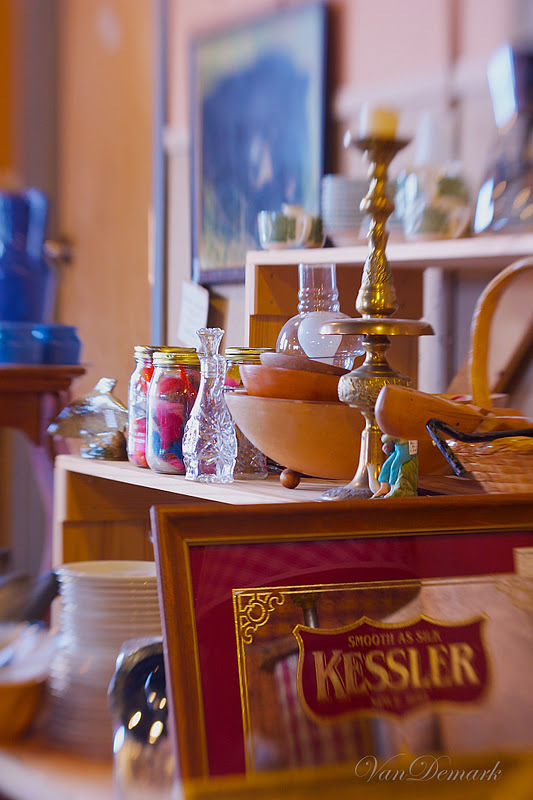 Some of the items remind me of my grandparent's belongings. What a fun series of inspiring images. So warm and absolutely timeless. Love this! 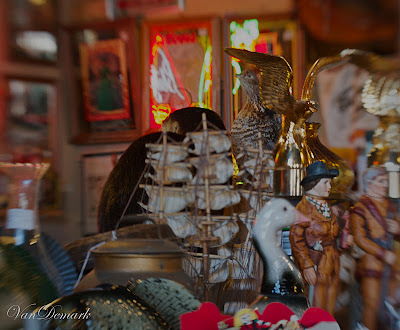 Congrats on the new lens and WOW..what a great idea to try it out in an antique shop! Love that capture and composition of the sewing machiing. Looks like the new lens is working pretty darn well :) Thank you for stopping by my blog and your kind comments. Beautiful photos all of them. Like the way you do it! Great job from you!!! Have a creativ week to you. How gorgeous and congratulations on that lens! Can't wait to see more of it! 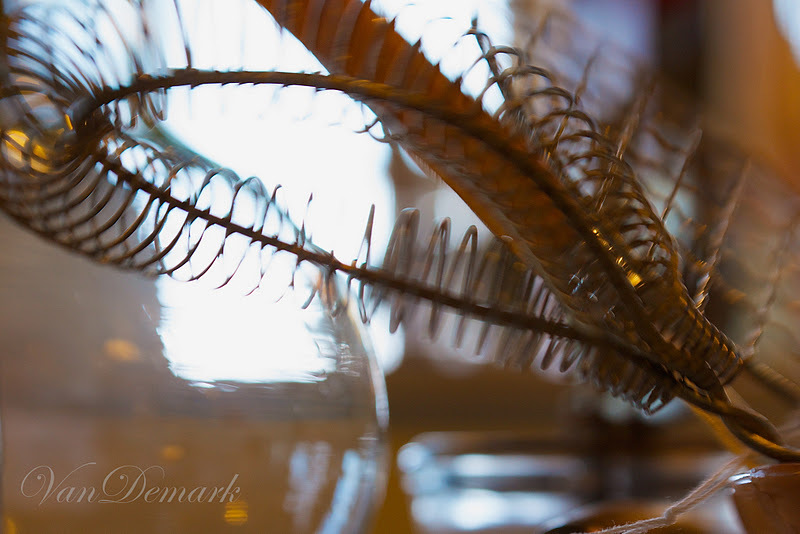 Such beautiful still-life images....lovely blog! love the dreamy shots ... you really told a special story with your camera !! Anna, everything you shoot is magical! The stacks of dinnerware are my favorites. I've heard of the Lens-baby, but had no idea what they were. I really like the soft edges they give to your shots. I'm a bit slow this week in getting round to my favorite blog haunts, sorry about that. but oh what a treat this is...you got a Lensbaby!!! it must be a whole lot of fun to play around with that. I got a Holga camera for my birthday and that was a blast - until I found out how difficult it is to get the black and white 120 film developed! But a lens is a different sort of toy and you've been playing. 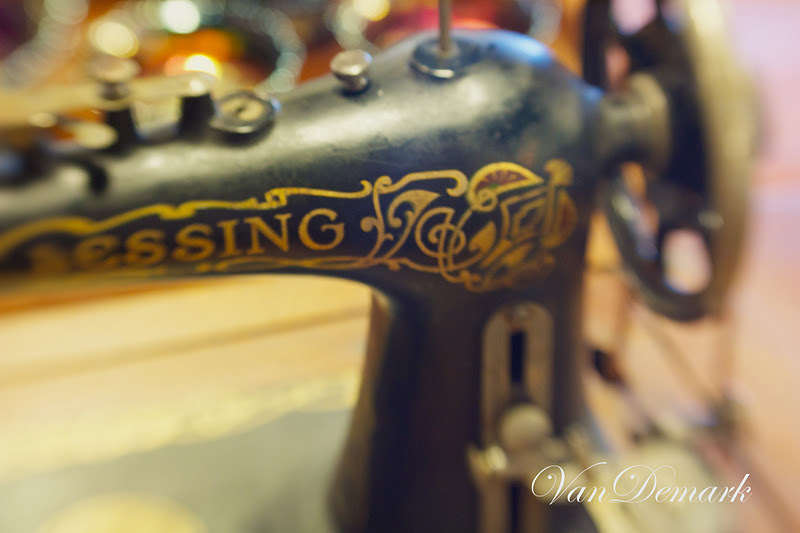 I love that sewing machine shot. the last one though is my favorite. I'm looking forward to seeing more of your fun. we're finally getting the season's first snowfall! happy day to you Anna. Lensbabies are dreamy, aren't they? I don't have one but "know" a few people who do. Really interesting results. I love these shots! I've got a lensbaby too, and I know it's not the easiest lens to use so these are really impressive. I look forward to seeing more. Great photos with your new lens! 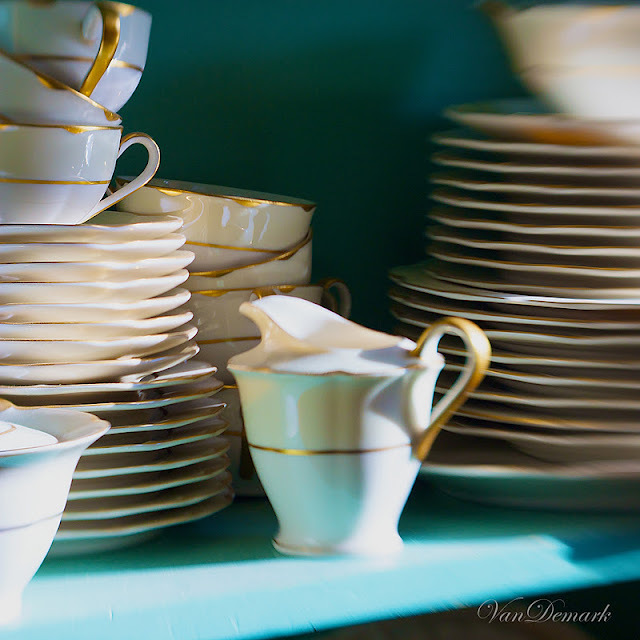 Isn't that fun and what a great place to go to try it out... Oh and by the way, i have those dishes. Have so much fun with your new lens that Santa brought you! 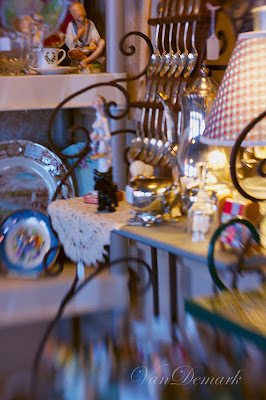 For an antique lover these images are wonderful..Santa was good too you! Your snaps through the Antique Shop are a perfect adventure to infuse the images with the nostalgic blur of the lens. Very cool. Cheers!